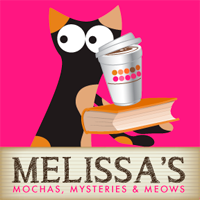 Melissa's Mochas, Mysteries and Meows: Truffles Won a PetBox! Hi everybody, it's Truffles! 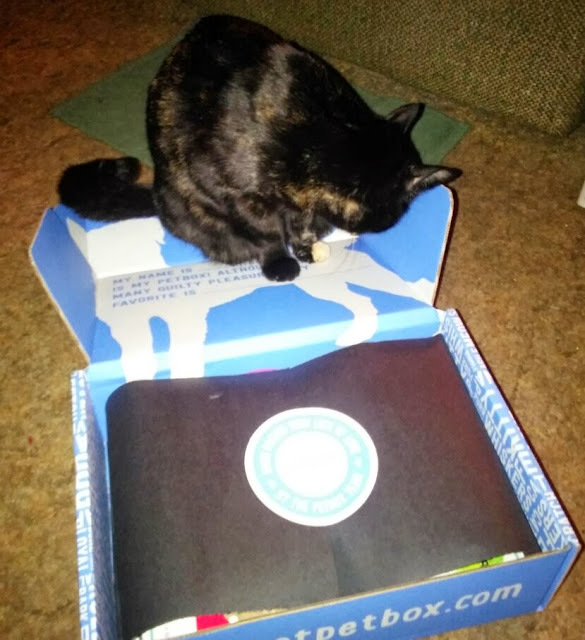 I can't remember if we ever told you that before Christmas I won a PetBox from Sparkle the Designer Cat's website. 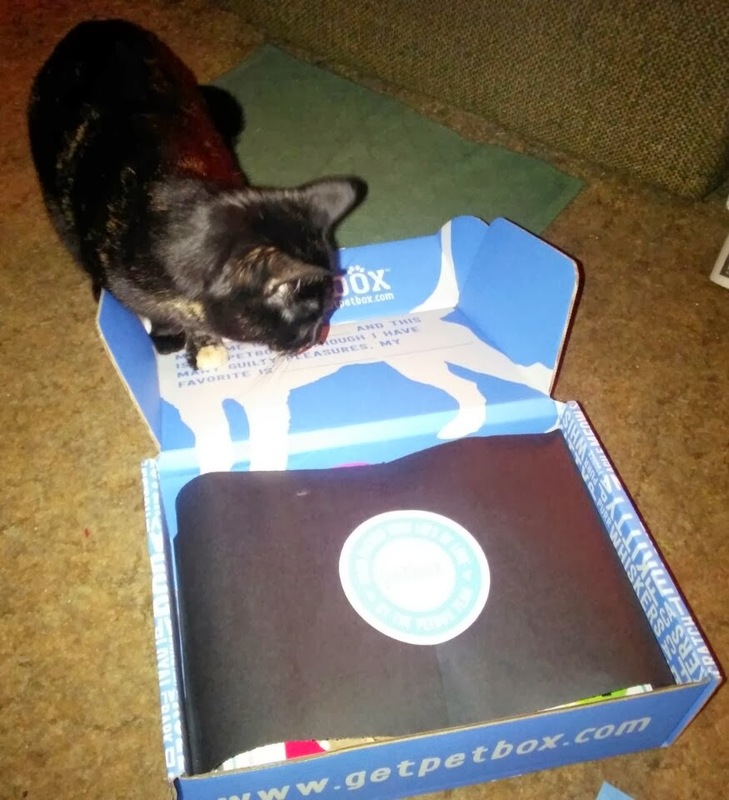 PetBox is a subscription pet goody box where you can pick what goes in your box (treats, toys, or a surprise), and for every box shipped, a rescue animal is fed! I was soooo excited when the FedEx man left the box at my door! Stop taking pictures and unwrap the goodies, Mommy! Wow! Look at all this loot! 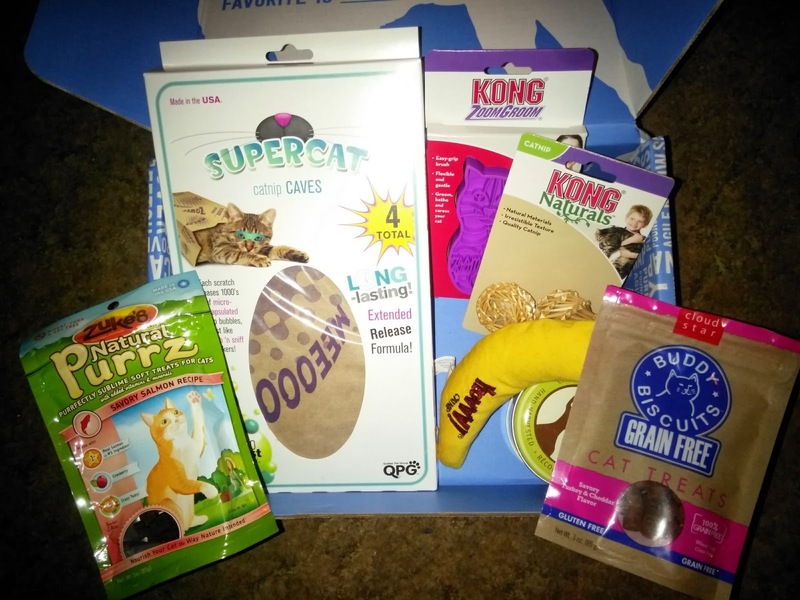 Here's what was in my box: Buddy Biscuits grain free treats, Zuke's Natural Purrz treats, a Yeowww catnip banana, a Kong ZoomGroom, Kong Naturals Straw Balls, SuperCat Catnip Caves, and a tin of Sojos organic catnip. I've already found some things in this box that I love so much that I'm going to be doing some individual reviews soon, so stay tuned! Thank you so much PetBox and Sparkle!!! That looks really pawesome! We had wondered what sort of stuff came in the petboxes for cats, and it looks like they're choosing really well. Oh how exciting is that? And it's a very cool box itself, even with nothing in it! That is a pawsome box!!! I can't take my eyes off that nip nanner!!! Wow, I see my favorite catnip and nip 'nana! Enjoy! Oh my yes! We are stull enjoying our goodies too,even the empty box!!! truffles...de box iz awesum and de stuff IN de box iz even awesum ...er !!!! this bee like Christmas in January .....wait...it iz january....hay, enjoy !!! Too cute! Lucky you. I've wanted to try a pet box, but am reluctant since Maya and Pierson have more than enough toys and treats already. She's so spoiled! Must be an only cat. 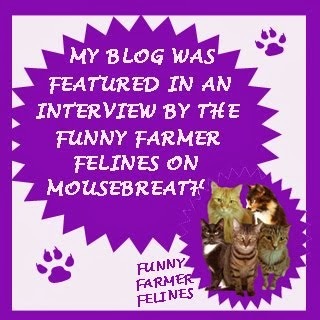 My cats love their squeaky mice (makes a sound when it gets batted around). Does Truffle have one? 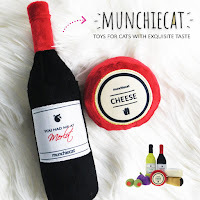 I'd recommend it for all cats, even ones who don't normally play with toys. Great stuff! I didn’t look at all the stuff since I won one and want to be surprised. I’m getting nervous cos others are getting theirs and I haven’t gotten mine yet. 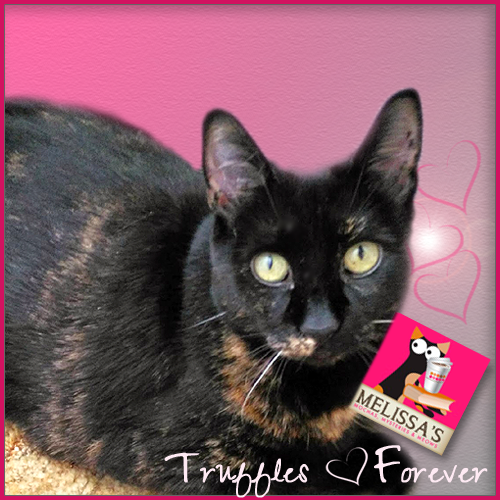 Congrats Truffles! Hope you enjoy! It's nice to know that the company gives back. 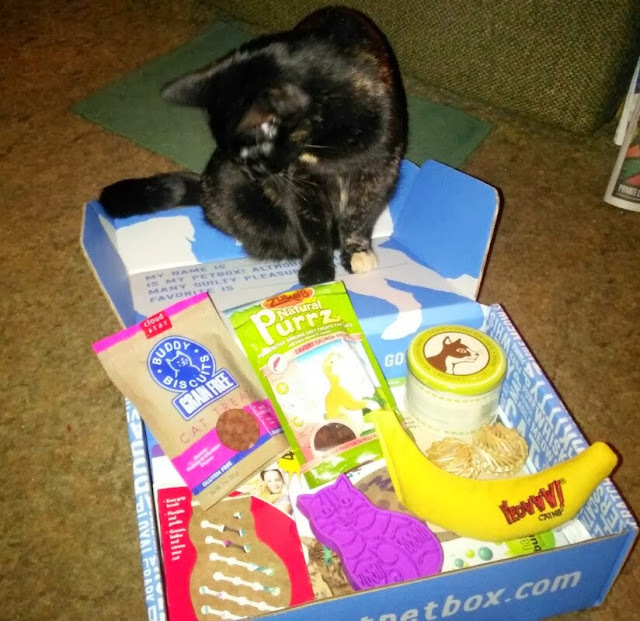 Your Petbox looks like great fun with yummy noms, too. Enjoy! 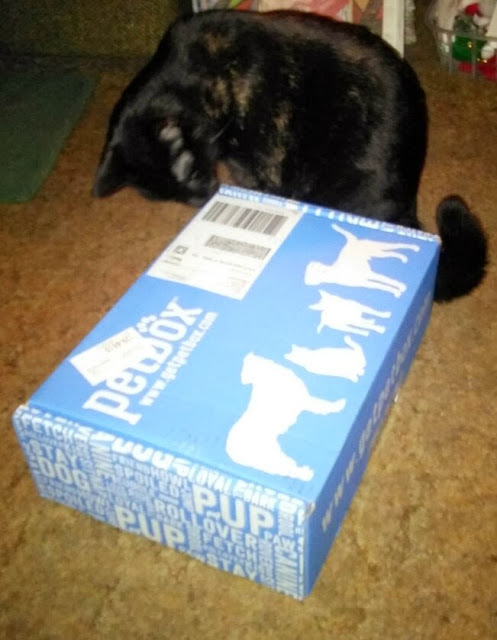 Ooo I won the dog version of the PetBox! 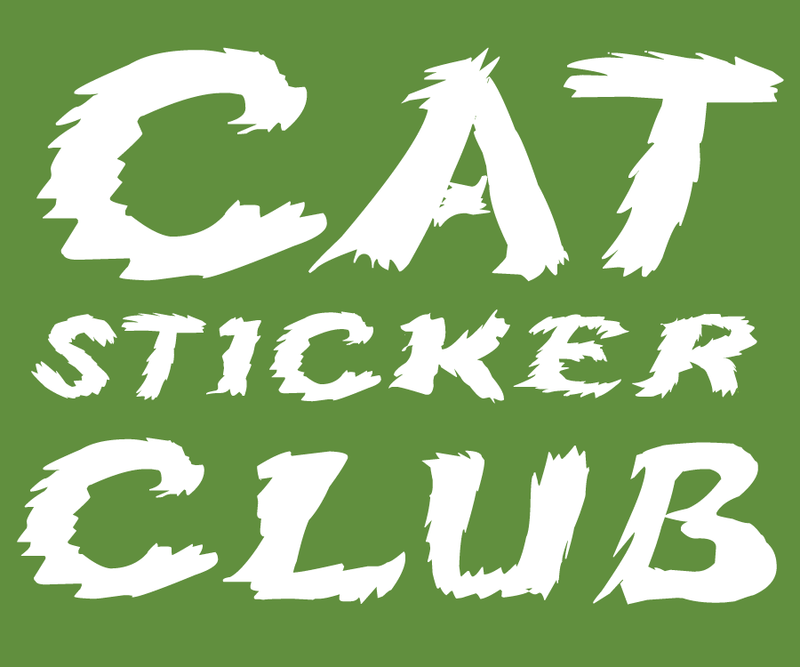 The cat one looks pretty cool too. Yay! Those are some amazing prizes! 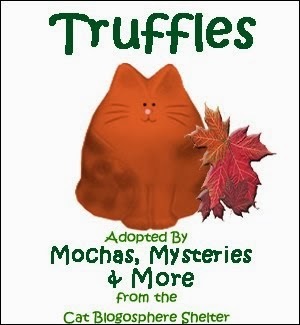 Truffles must be feeling like a very special cat :) I look forward to the reviews. Congrats Truffles! My fur kids are a little jealous. Enjoy!